Over time, the impact of the environment and ageing can diminish the youthful appearance of our facial skin, leaving us with unwanted wrinkles and poor skin tone. FaceFX is a soothing, pain-free treatment. It’s also an affordable, non-invasive alternative to Botox or plastic surgery that helps you achieve bright, youthful-looking skin in the comfort of your own home. 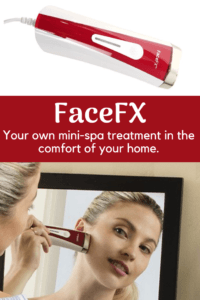 * Silk’n FaceFX uses Home Fractional (HF) Red Light therapy that’s recommended for virtually any problem area, including cheeks, forehead, under the eyes, and around the eyes, mouth and neck. Within a few weeks* you’ll diminish the appearance of wrinkles and poor skin tone, improve skin texture, reduce pore size and give your skin an irresistible, youthful glow. Be inspired by the skin-brightening you will see, with lasting effects* that compound over time with regular treatments. * Results may vary based on skin type and texture. Most users experience results after a few weeks. * To hear more about what FaceFX users are saying about the product, visit our Testimonials page. When you touch FaceFX against your face, the 24 small red Light Emitting Diodes (LEDs) light up. At the same time, FaceFX gently warms your skin to the perfect temperature that allows the red light therapy to stimulate multiple layers of your skin for a total solution; Active HF technology targets the top layer, addressing fine lines and pores to improve skin texture,* while the Deep HF technology in the FaceFX penetrates the skin more profoundly to address larger areas of concern. 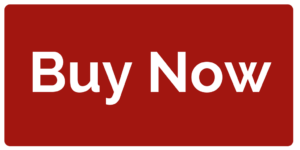 What is Home Fractional (HF) Technology? Home Fractional (HF) Technology is one of the best approach to skin care. Red light therapy has been shown to reduce the look of wrinkles and improve skin texture, tone and color but until now, it hasn’t been available for home use. FaceFX makes it safe for non-professional use by dividing the single red light into 24 much smaller Light Emitting Diodes, or LEDs. Typical facial areas for FaceFX treatment include around the eyes (crow’s feet), under the eyes, the cheeks, forehead, around the mouth and the neck. When treating around the eyes, we recommend you keep your eyes closed. Areas with little skin or fat can heat up faster than areas with more fat and so require shorter treatment times. For a few minutes after treatment, most users will experience a slight redness in the treated area. This may linger for a few hours but is no cause for concern. If at any time during treatment your FaceFX feels too hot for your skin or your skin feels irritated, take a break from treatment. Wait a few minutes until your skin cools and then resume treatment. Can I put on makeup immediately after treatment? Yes, you can continue with your regular routine once you have completed your treatment. Why do I need to use moisturizing cream after treatments? The heat during treatment may cause your skin to feel dry, so the moisturizer will help soothe and hydrate your skin. Apply a small amount to the treated skin areas after each session and massage it gently in circular motions. You may use a regular lotion, but moisturizing cream with SPF is recommended if you are going to be in the sun (we all know the damaging effects it can have on our skin!). I have dry skin and FaceFX tugs my skin when I use it. What should I do? If your skin tends to be dry, gliding the device can be a little more challenging. Using a light, water-based serum will alleviate this ‘tugging’ feeling. Wash face as per instructions, apply a small amount of serum on the skin and move the applicator in smooth circular motions. This will help the applicator glide and will also give your skin an even healthier glow. Be sure to clean your device by wiping it with a soft cloth to remove any residue. I sometimes don’t see light during my treatment, is there a problem with my device? Dry skin can cause inconsistent contact or even a loss of contact. Using Silk’n Serum will alleviate this and ensure that the silver treatment tip is in full contact with your skin at all times.